The user was able to obtain six photographs of different dolphins showing what appears to be dolphin pox virus. The dolphins in question are Tiger, Oscar, Alpha and Potter from Discovery Cove and Baretta and Marble from the Stadium. 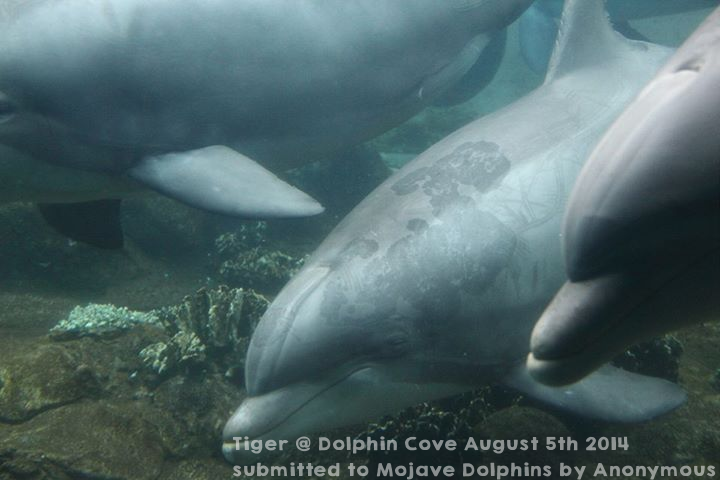 These photographs go on to support the idea that the dolphins here in Las Vegas were infected with the pox virus after SeaWorld Orlando shipped Beetle and Cosmo over on a breeding loan in March 2010. 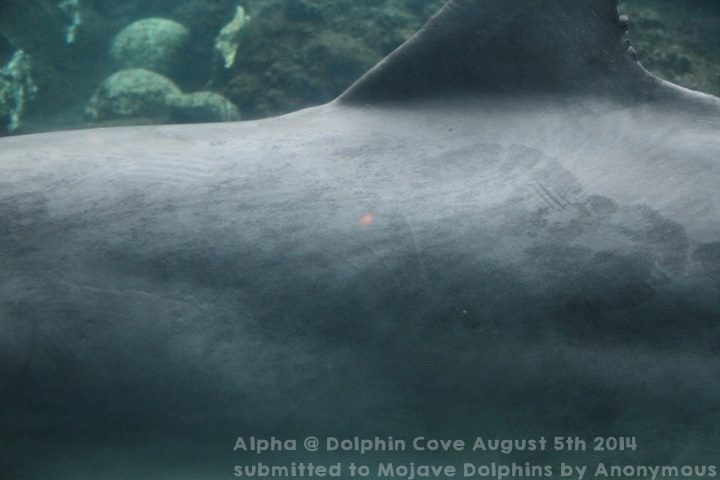 Photographs have been found on flickr dating back to Summer 2010 showing dolphins with pox inside the Mojave pools. No photographs have been found prior. 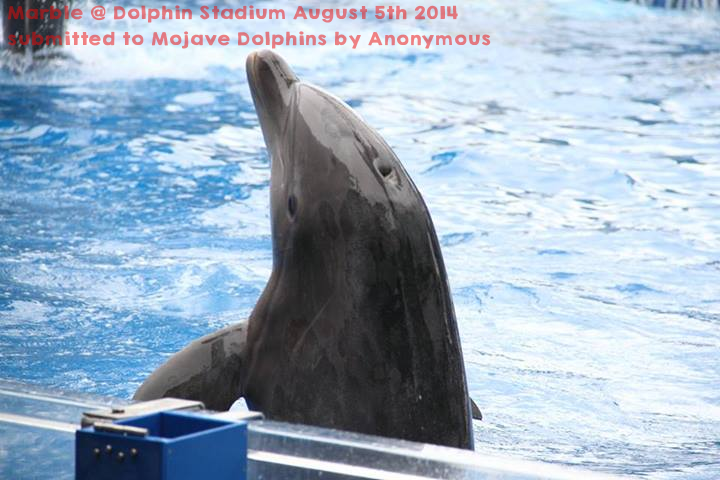 An educator at the Mirage told me that the “spots came from dolphins they got from another facility”. Mirage has only done one trade in 2006 with Gulf World in Panama City, and received dolphins from each Seaworld Park in their 2010/2014 breeding loan. 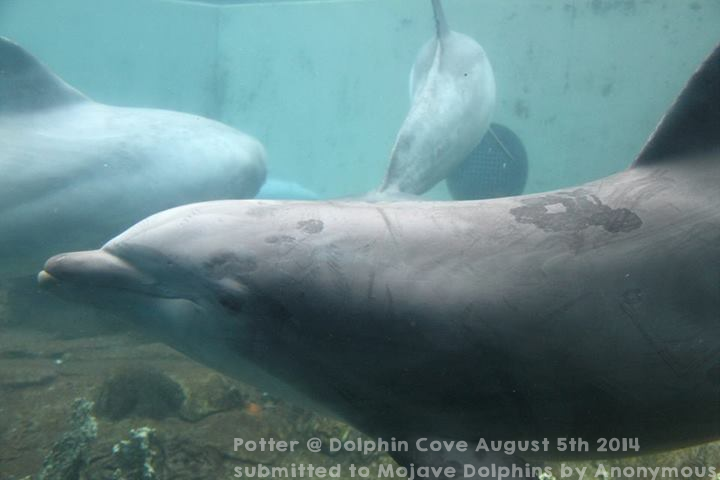 When dolphins are sent to a new facility and they are known to have a medical condition, they are to be isolated from other healthy dolphins until a vet has determined that they are in good health. Any communicable disease condition in a newly acquired marine mammal must be remedied before it is placed with resident marine mammals. The exception is when placing the infected animal with the resident animal as a companion outweigh the risks to the resident animal. Any holding facility used for medical purposes that has contained a marine mammal with an infectious or contagious disease must be cleaned and/or sanitized in a manner prescribed by a veterinarian. No healthy animals may be introduced into this holding facility prior to such cleaning and/or sanitizing procedures. Any marine mammal exposed to a contagious animal must be evaluated by the attending veterinarian and monitored and/or isolated for an appropriate period of time as determined by the vet. This means that a vet at some point had to have checked out each of these animals and determined that the need to have dolphins in the desert outweighed the dolphins own health. 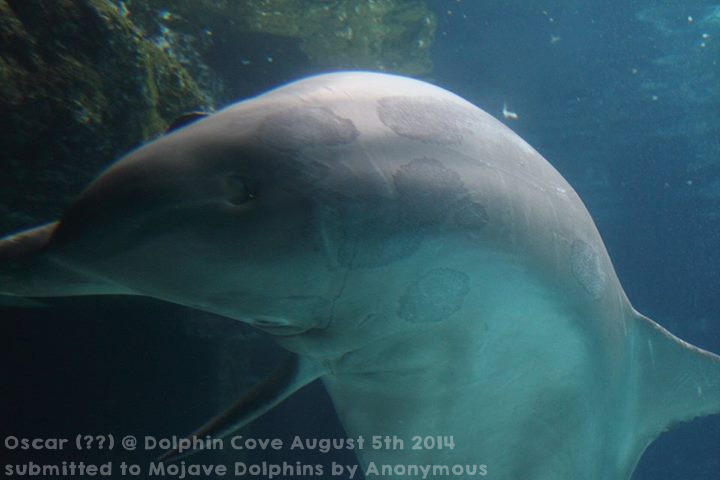 With at least 3 dolphins out of 10 in Las Vegas showing signs of pox, including some from the breeding loan with Seaworld, it will only be a matter of time before the pools of Las Vegas are over-run with dolphin pox. 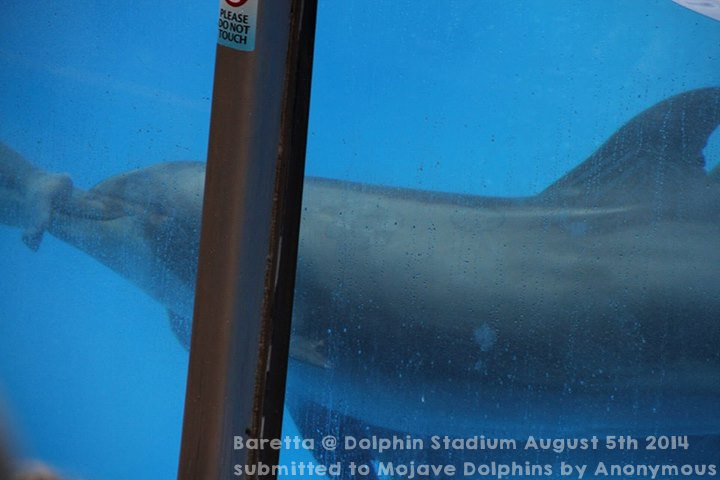 The animals in both locations are still being used in day to day tourist activities The Mirage offers a swim with program and Seaworld’s dolphins are used in a feeding and petting programs. As of right now, neither park have responded with a straight answer about the condition of the dolphins, and what is being done to help them. Wonderful content, thank You !! Guys your doing a great job..keep up the pressure….it’s unacceptable to sacrifice these beautiful dolphins freedom!! Please tell us what we can do to get these beautiful creatures out of there!!! !